love it! great cast and story. it's no Mission to Zyxx, but it's Ok. they are getting better as it goes.....have listened to a few now. it's doing good. great fun, love the cast and story! Sorry invites babe into her system which causes more issues for Tucker and the others on the ship. As things escalate with Mi.RA, Stew might need help from the others to save himself - and the ship! Featuring special guest Deborah Baker Jr. This episode is sponsored by VRBO. Tucker worries that Sorry is being overtaxed as things keep going awry with the ship. The crew discovers something very surprising about their A.I. 's personal life, and Stew reconnects with an old flame. Featuring special guest Deborah Baker Jr.
Tucker and his crew encounter the planet Vox in their search for Earth, where they encounter Palom (Hal Lublin), a follower of something they call The Word. Tensions run high amid Tucker, Elsa and Stew as they discover their different political views. This episode is sponsored by ZipRecruiter (www.ziprecruiter.com/VOYAGE). The ship has become a non-stop party ever since Arnold staged a mutiny against Tucker and took over as captain. Tucker tries to make friends with his fellow crew members to get back in their good graces. Stew is discovering from his clones that he might not be that pleasant to be around. Meanwhile, Elsa realizes she made a mistake supporting Arnold as captain, and Mac continues to grow at an alarming rate. The crew returns to Chronos in an attempt to find fuel for their ship, but they quickly discover that Blake, and the Hodie, are harboring a dangerous secret. Will our intrepid adventurers get their Chromium? Will Elsa fist more aliens? Find out in the next installment of Voyage to the Stars! Featuring special guest Amir Talai. The year is 2263. Tucker Lentz (Colton Dunn), an inept insurance salesman with dreams of being a space captain finally gets a chance to leave Earth when he boards a tourist shuttle to venture into the galaxy. He is heading to the Space Station ASHA, a facility dedicated to studying a wormhole that mysterious appeared near the moon 25 years ago. However, things quickly go wrong and he finds himself thrust into a great adventure alongside know-it-all lead science officer Elsa Rankfort (Felicia Day), a bumbling janitor (Steve Berg), and an Alien AI (Janet Varney), as well as other members of the ASHA crew. These are the crew logs chronicling their voyage... to the stars! 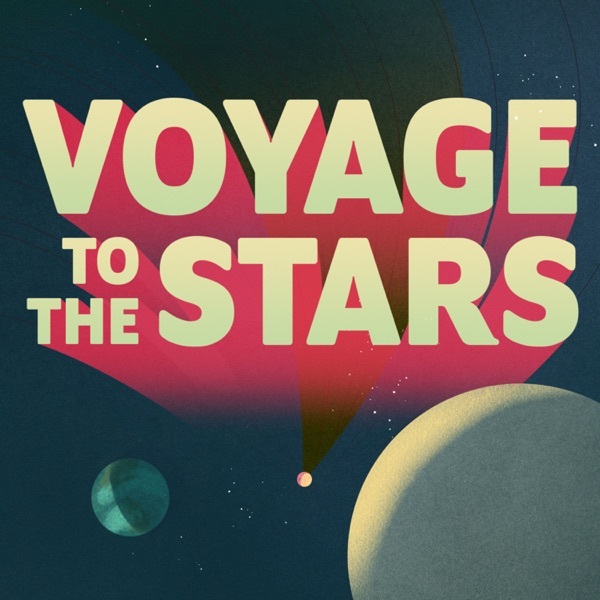 Subscribe to Voyage To The Stars today, and stay tuned the series premiere is coming to Earwolf February 12th!